Calling all dinosaur fans, young paleontologists and little adventurers on a unique mythical adventure in our very own prehistoric Jurassic park. 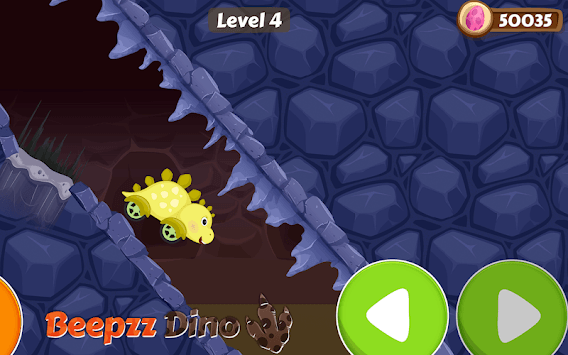 A challenging Dino-race that will fill your leisure time with maximum pleasure. It is one of the best, simple & fun racing games for the youngest audience, easy levels, basic controls and NO cars bursting. Choose your dinosaur pet and start the race, tap with your little fingers and see how the dinosaur cars flip, jump and roll to the finish line. Don’t forget to collect all dinosaur eggs on the way, they will help you unlock new unexplored places and some new dinosaur friends. Come on boys and girls, let’s go on a trip back in time to play with our funny dinosaur squad and explore the exciting Dinosaur world, the mystical Cave, the sandy Desert, the frozen Ice Age and many more funny tracks. This is a great game for the development of your kids motor skills and hand-eye coordination as well as basic problem solving, logical and cognitive skills. 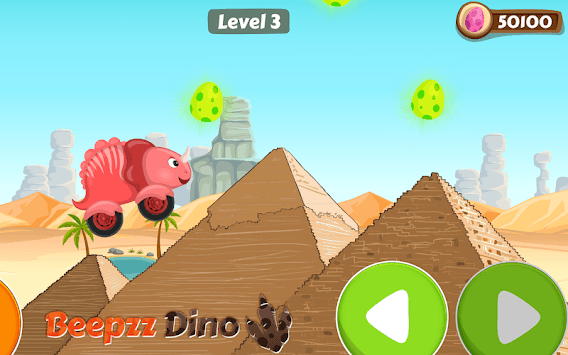 Beepzz Dino’s is a family game in which we prove that learning can be fun, it provides a great learning experience for every toddler of the ages 1-5 and we guarantee that you’ll love it. 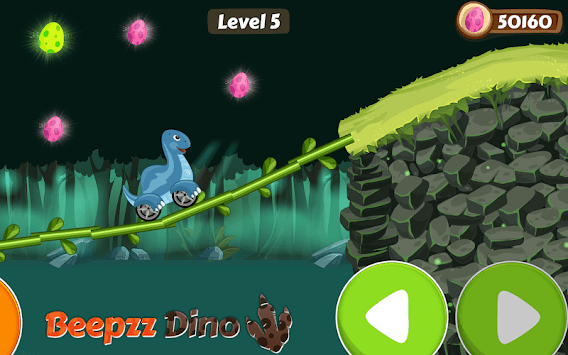 Simple racing game for kids – ride the dinosaurs with an easy finger touch combination, just tap tap tap to move forward and jump to catch all the dino eggs. 10 mythical creatures are on a mission to collect as many hatchlings as possible and get to the baby dinosaur to collect their bonus. Choose your rally car: a sports car, race car, jeep, monster truck, motorcycle or bike and do some stunts – front flips, back flips and more. They have cute expression animations and make funny sounds. 50+ different levels with varying difficulty. You will encounter plenty of funny ramps and cute obstacles that will make your race very entertaining, throughout 6 colorful themes: mystical Cave, sandy Desert, enchanting Forest, slippery Ice Age, wild river, old-age village and raging Volcano. You always WIN – The dinosaurs will never crash, they can only trip and go on, which makes it great for younger kids, they will never lose and get disappointed…YAY! A Kid friendly design and cool graphics, topped with a smooth physics simulation and some matching sound effects of the engine, suspension and maximum speed reach are what makes this game unique and enjoyable for both boys and girls aged 4-10.